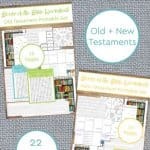 It is so awesome that you have come over to see our 16 super fun Books of the Bible Worksheets ~ Old & New Testament Printable Set! It is 22 amazing pages long! You and your kids are going to really enjoy learning these books of the Bible worksheets. They are very thorough and fun. Take a look! Make it a complete unit and learn the books of the Old AND the New Testament by memory while having loads of fun as a family! 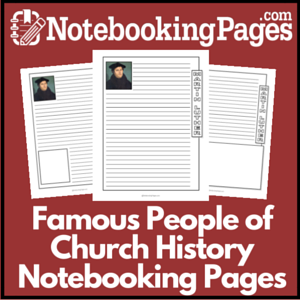 These are some really fabulous pages on teaching the books of the Bible worksheets! many readers have asked for some and have been looking everywhere for them. With this books of the Bible printable, children will learn the order of the books of the Old & New Testament in the Bible! 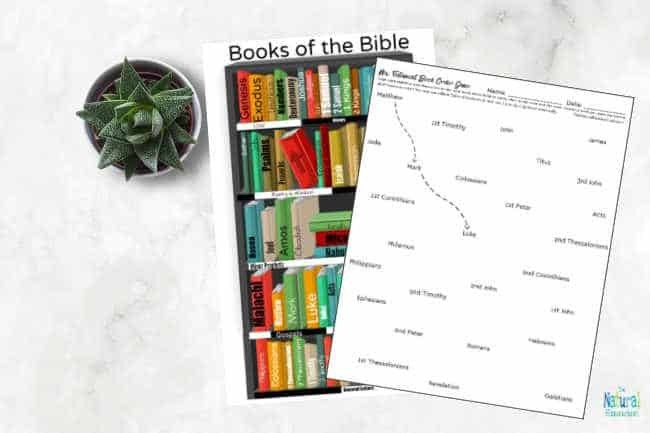 Books of the Bible Bookcase Poster: Display this beautiful poster to review and practice the books of the Bible often! Old Testament Books of the Bible connecting order worksheet: It is so much fun to draw straight, squiggly or loopy lines to go from one book name to the other in order! 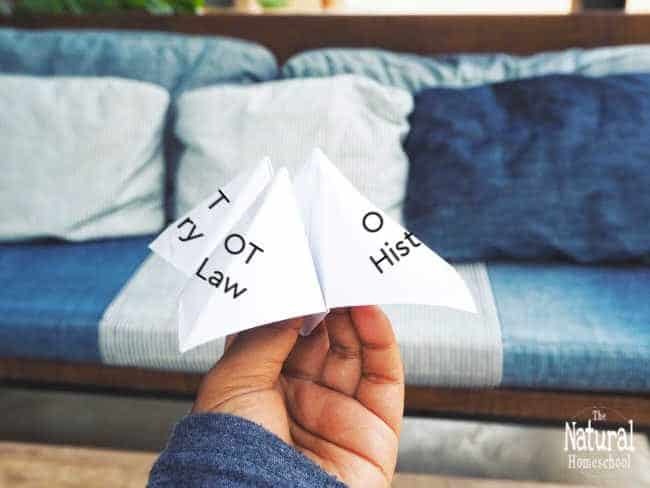 Printable OT Cootie Catcher: This one is fun! It is great to use the cootie catcher while using it as trivia questions about the Old Testament! Old Testament books cursive handwriting: Practice writing the books of the Bible in cursive! OT printable die memory game: This is a great for review or to quiz the kids at the end of the unit! Or both! Details on OT books folding booklet worksheet: Put together and fill out this beautiful booklet with each kid to remember important information. Old Testament books of the Bible manuscript handwriting: It is always important to practice good handwriting, so this isn’t a waste at all. It doubles up to help memorize the books of the Old Testament. 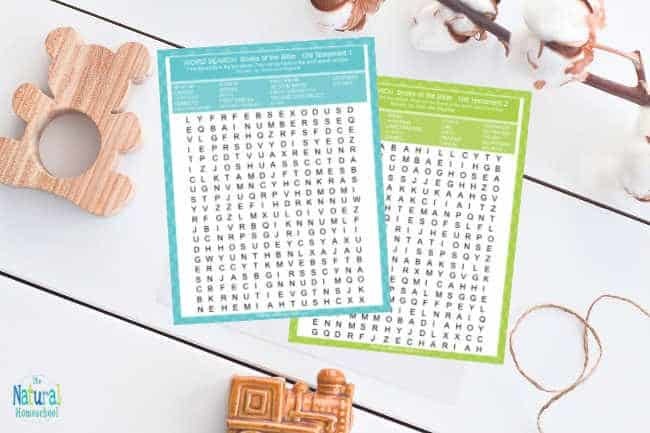 OT Word Search worksheets: Kids will have a blast finding the names of the books of the Old Testament in these word searches! Books of the Bible Bookcase Poster: They’re all 66 books by category! Display this beautiful poster to review and practice the books of the Bible often! New Testament Books of the Bible connecting order worksheet: It is so much fun to draw straight, squiggly or loopy lines to go from one book name to the other in order! Printable NT Cootie Catcher: This one is fun! It is great to use the cootie catcher while using it as trivia questions about the Old Testament! New Testament books cursive handwriting: Practice writing the books of the Bible in cursive! NT printable die memory game: This is a great for review or to quiz the kids at the end of the unit! Or both! 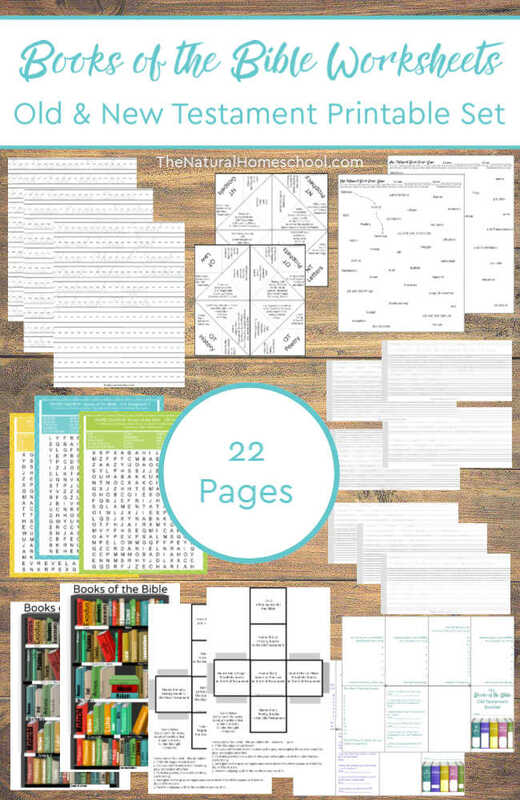 Details on NT books folding booklet worksheet: Put together and fill out this beautiful booklet with each kid to remember important information. New Testament books of the Bible manuscript handwriting: It is always important to practice good handwriting, so this isn’t a waste at all. It doubles up to help memorize the books of the Old Testament. 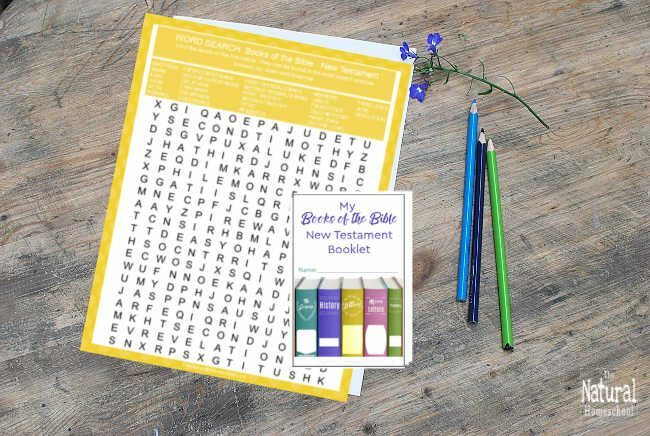 NT Word Search worksheets: Kids will have a blast finding the names of the books of the Old Testament in these word searches! 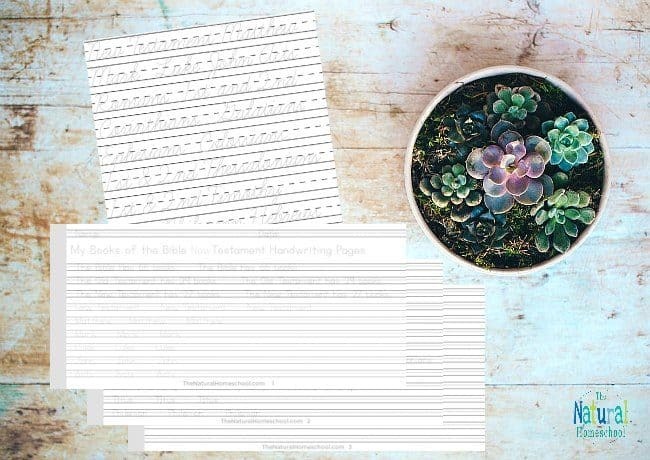 Learn how to memorize the books of the New and Old Testament with worksheets that are fun, engaging and not overwhelming. There are 27 books in the New Testament and 39 in the Old. Learning and remembering those names by heart AND in order can seem scary or impossible. 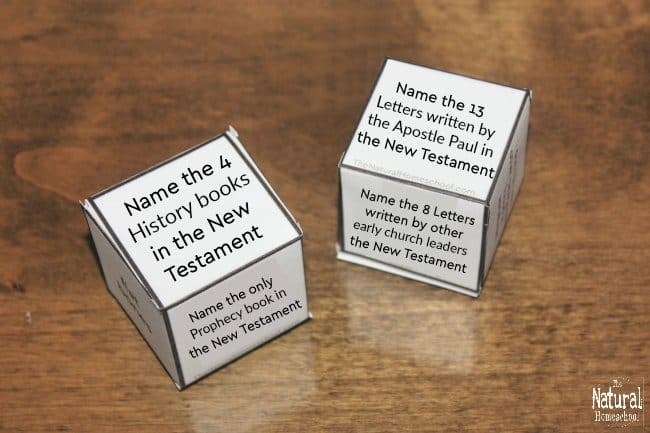 This set will make learning the books of the Bible worksheets seem like the best thing since sliced bread! 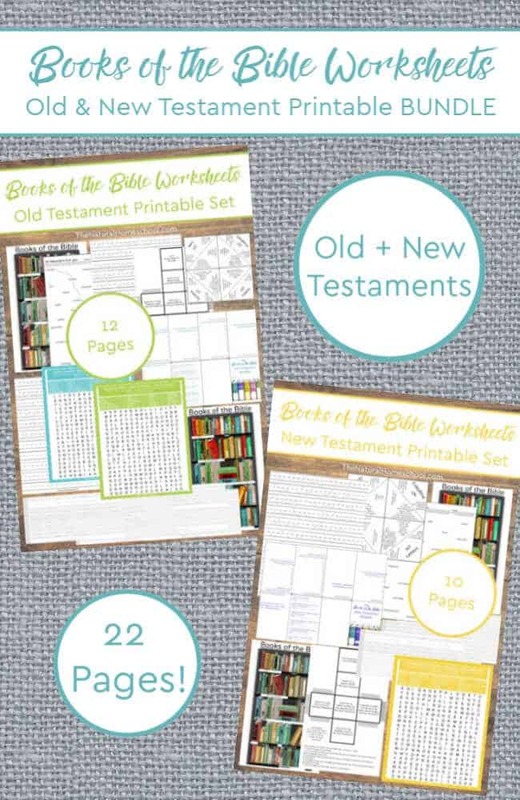 To get your Old & New Testament books of the Bible printable worksheets, click below. You will find just how valuable this books of the Bible printable really is when you hear your kids recite all 39+27=66 names like it’s no big deal!